Free or low-cost spay and neuter vouchers for local pets. 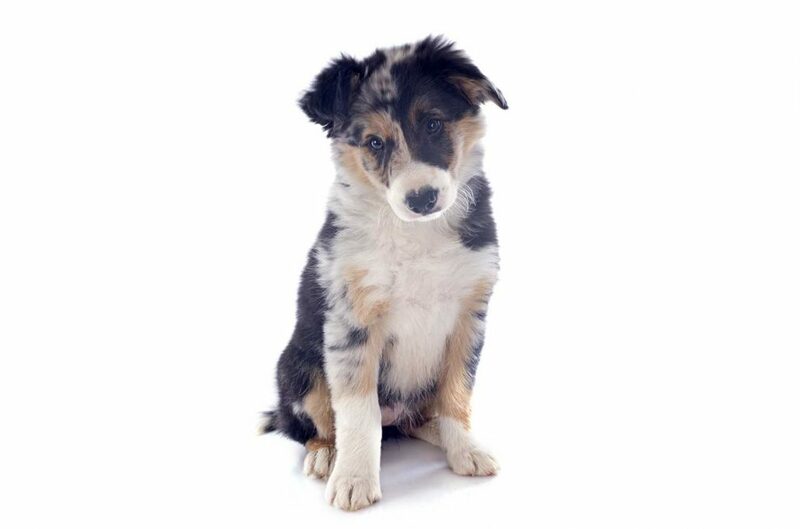 Our vouchers provide a spay or neuter for your pet(s) and we pay for the surgery completely if you live in Star Valley, WY or Teton Valley, ID (in Teton County, WY if you earn under $40,000 annually). If you make more than $40,000 in Teton County, WY and you need assistance, you can purchase a voucher for $20 (cat) or $35 (dog) – a significant savings on the surgery. Please be sure to check in with your local veterinarian before using a voucher. Thank you for spaying/neutering your pets! 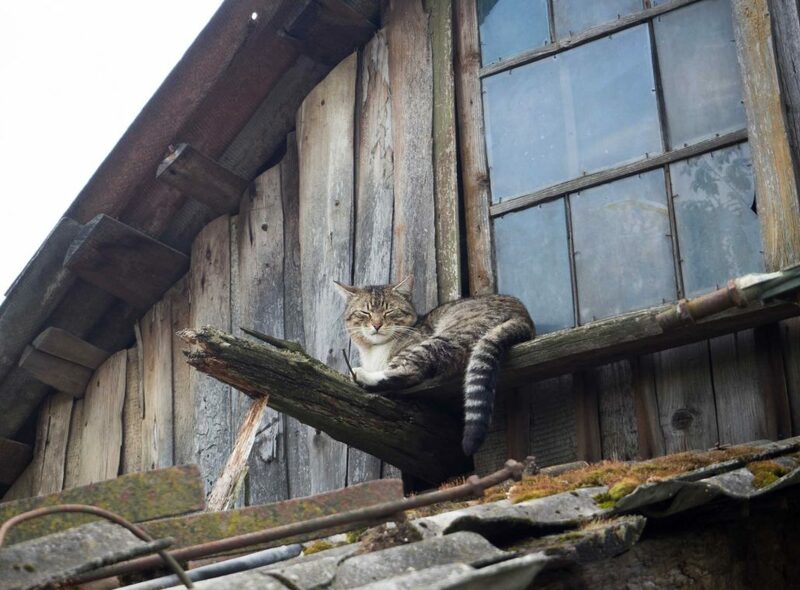 Within our three communities, Star Valley, Jackson, and Teton Valley, thousands of feral and stray cats roam freely and breed rapidly. Communicable diseases run rampant through these communities as they are easily transmitted through bites and breeding. These cats suffer due to disease, the elements, predation, and lack of food. The PAWS Trap-Neuter-Return (TNR) team sets humane traps on the property after the property owner agrees to the terms of the TNR process. Traps are set at night and checked in the morning. The captured cats are transferred to a local vet to be assessed and spayed/neutered. After recovery cats are returned to their property. Property owners agree to provide adequate shelter, food, and water. Financial help for unexpected veterinary bills. Sometimes people and their pets need help. When an owner can’t afford to pay for a vet, pets go without proper care. Whether a pet has an unfortunate accident or a sudden illness, this can mean financial hardship for local families. Local resident Hank Becks started the Muffie Becks MedFund (named for his late wife) to help local families and their pets. 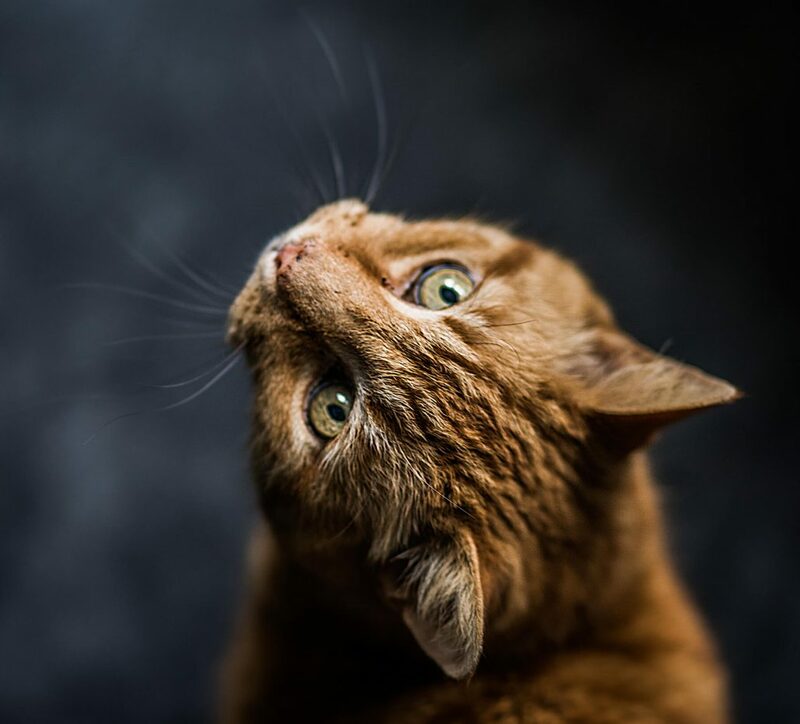 The MedFund helps pay Teton County, WY vet bills for stray dogs and cats, and provides funding for individuals who are unable to pay their vet bills. Residents of Teton County, WY, Teton County, ID and Star Valley, WY can apply for MedFund and the program can be used one time. PAWS will talk with veterinarians and grant funding on a case-by-case basis. PAWS supports our local animal shelters with repairs, staff, technology, and dog training. We are not a shelter but have close relationships with our local animal shelters. Shelter staff are busy cleaning kennels, feeding, exercising, and meeting with prospective adopters so they can’t fundraise. That’s where we come in. 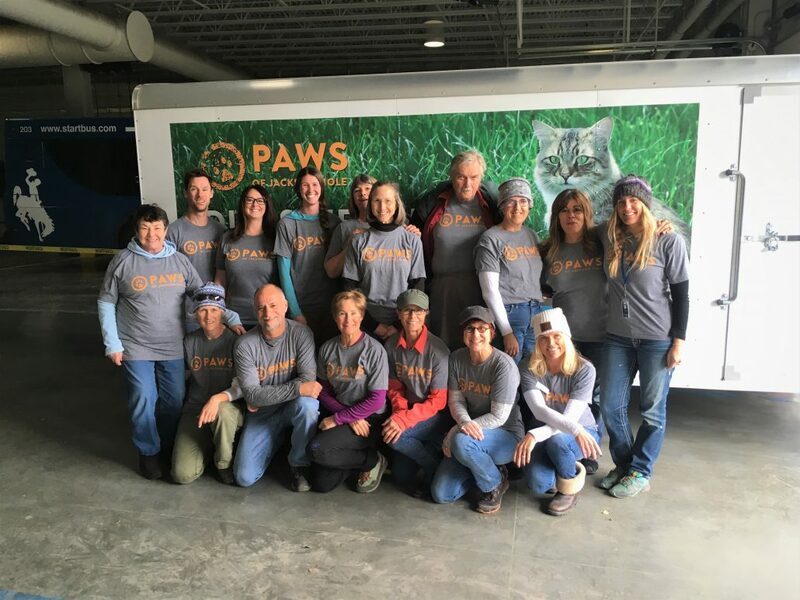 PAWS fills the gaps in services and facility needs. We’ve supported Jackson/Teton County Animal Shelter, The Animal Humane Association of Star Valley, and Teton Valley Community Animal Shelter by providing funding for dog training, adoption advertisements and events, and for capital improvements to shelter facilities. Through generous donor support, PAWS has provided more than $500,000 to our local shelters. Pop-up shelter for local pets during a disaster. If a natural disaster strikes Teton County,WY, PAWS is prepared to care for our community’s pets. The state-of-the-art Disaster Animal Response Team (DART) trailer is stocked with equipment and supplies needed to care for more than 100 local pets during an evacuation. Provisions inside the trailer allow us to erect a temporary animal shelter, along with food, water, medical necessities, crates, bowls, leashes, administrative supplies and cleaning equipment. PAWS trains DART volunteers annually in case of emergency. Volunteers learn all the skills needed to run a temporary disaster animal shelter. See our Volunteer page! 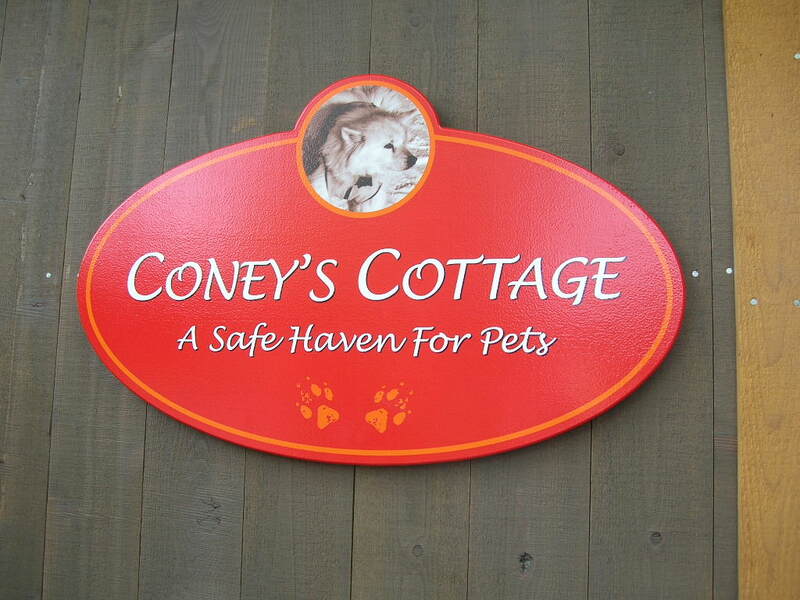 A safe haven for pets of victims of domestic abuse. Pets and their owners need a safe place when seeking shelter from domestic violence. PAWS and Community Safety Network help protect people and their pets from violence with a custom pet facility on the CSN campus – one of only 27 domestic violence shelters in the U.S. that accepts pets. SafePAWS offers victims the option of bringing their pet(s) with them to the shelter when fleeing an abusive situation. Studies show a clear link between domestic violence, child abuse, and abuse of animals. With more than 70% of women entering a shelter reporting that their pet is also in danger, our SafePAWS shelter gives these women help and safety, and assures that their animal companion can be with them. Call us for more information about SafePAWS. If you are seeking shelter for you and your pet, please call Community Safety Network at (307) 733-3711. Cleaner trails through 150,000 free mutt mitts every year. Our community loves the outdoors and our shared trails, pathways and public spaces are better because of mutt mitts. More than 75 mutt mitt stations in Teton County service 10,000 dogs and their owners. 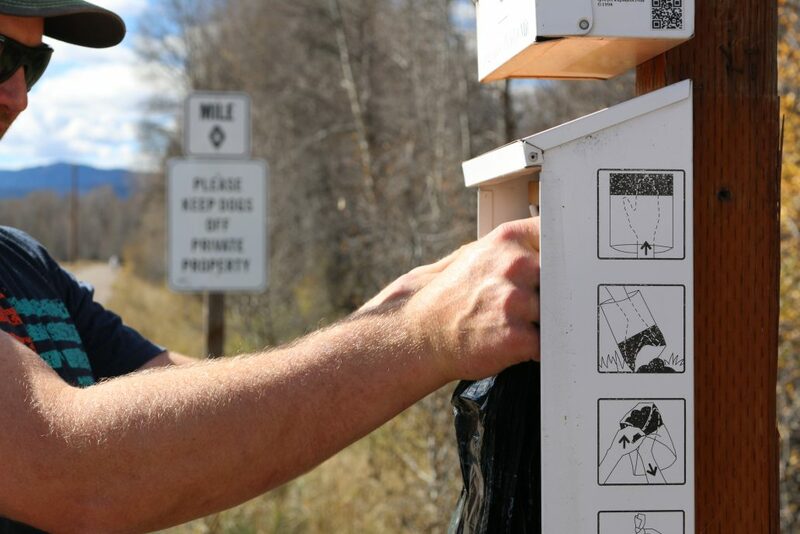 The stations are paid for and managed by PAWS, Bridger-Teton Forest Service, Parks & Recreation, Pathways, and HOAs. Mutt mitts are free to everyone! Each year, PAWS contributes 150,000 free mutt mitts to our community. We also sell mutt mitts and stations to local businesses and HOAs ($125 for a mutt mitt station and $12 for a sleeve of 100 mutt mitts). Call us if you’d like a mutt mitt station in your neighborhood. Trail ambassadors and outreach events promote good dogs and healthy communities. PAWS knows that good dogs on shared trails, pathways, and sidewalks create kind and fun community interactions. This is why PAWS runs comprehensive education and outreach programming designed to foster good dogs, great owners, and healthy communal spaces. We use our community partnerships to create advertising and fun videos to promote good dog/human behavior in shared outdoor spaces. 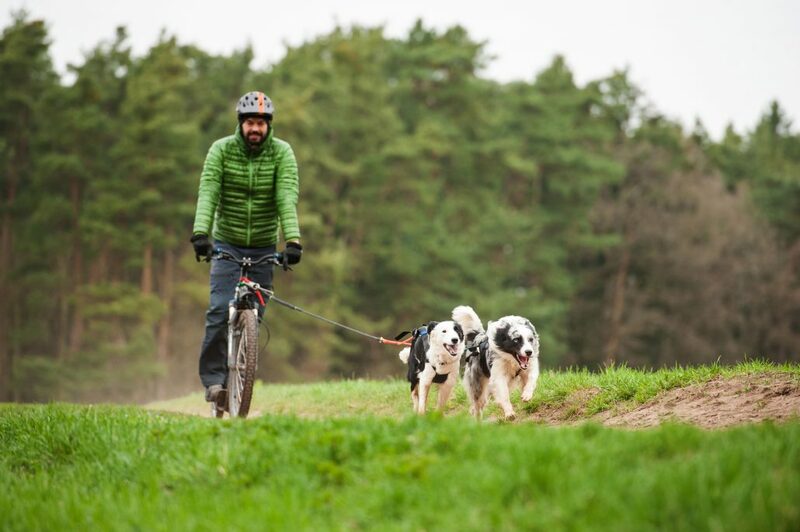 We also offer mutt mitts to keep our trails clean. Dog training lessons for teens at our local shelter. Sean’s Club is an animal-assisted program for teens. 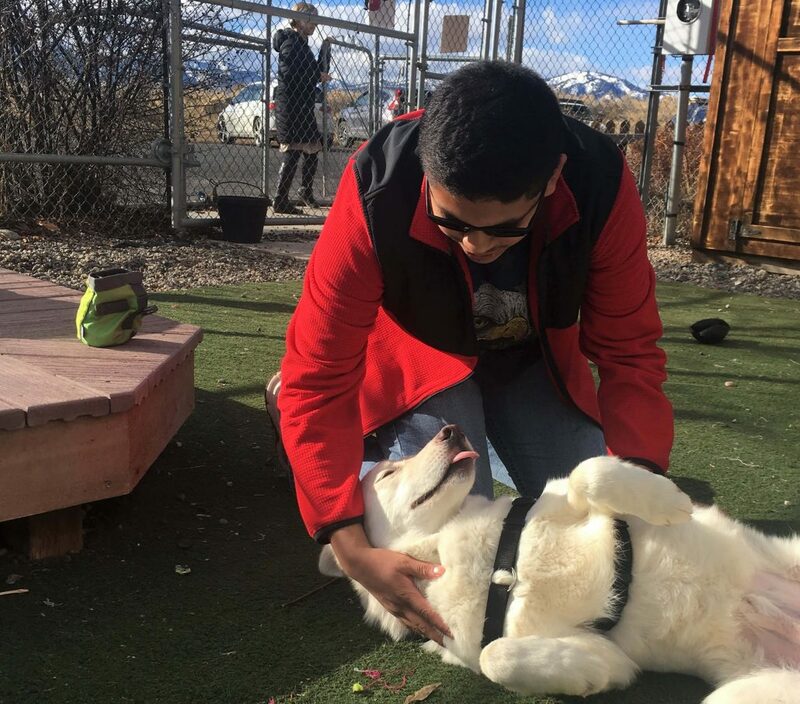 Students from Summit High School and teens from Teton Youth and Family Services come to Jackson/Teton County Animal Shelter where they work with shelter dogs and learn the principles of training. Students benefit from the dog’s affection while they learn about positive reinforcement necessary to dog training. 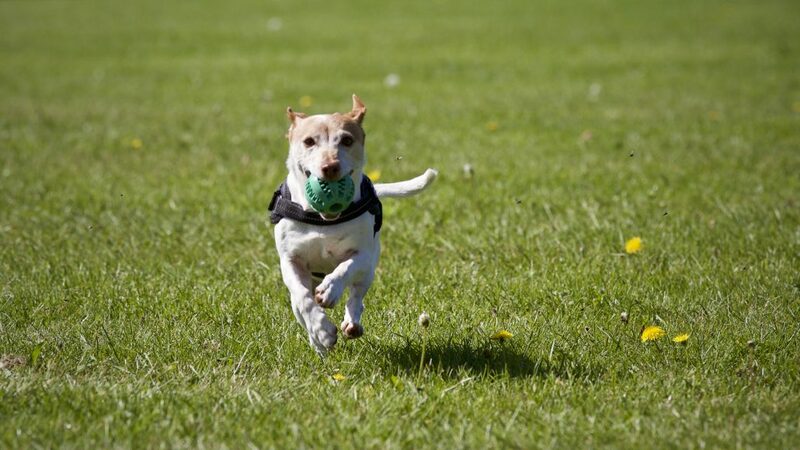 Dog training also teaches responsibility, parenting skills, and social and vocational skills. Shelter dogs learn basic commands while they are socialized and praised, making them more adoptable. Sean’s Club is a collaborative project spearheaded by PAWS, in partnership with Summit High School, Jackson/Teton County Animal Shelter, Teton Youth and Family Services, and DogJax. Advocates for a permanent dog park in town. There is a winter dog park that welcomes all good dogs and their people from December through March. PAWS and the Parks & Recreation Department make sure that there is a fenced area with mutt mitt stations and waste receptacles so you and your dog can have a safe, clean space to socialize in the wintertime. 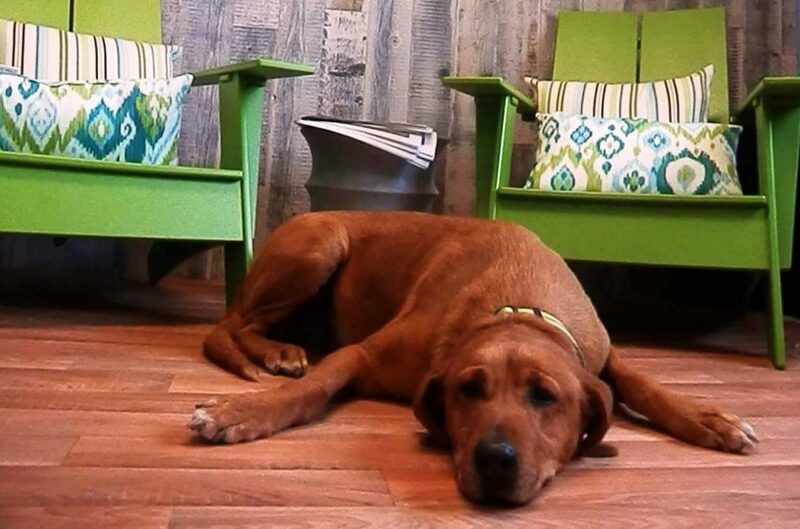 Discussions of a future year-round dog park continue. Give us a call if you’d like to be involved!